Very excited at having a blog make-over! 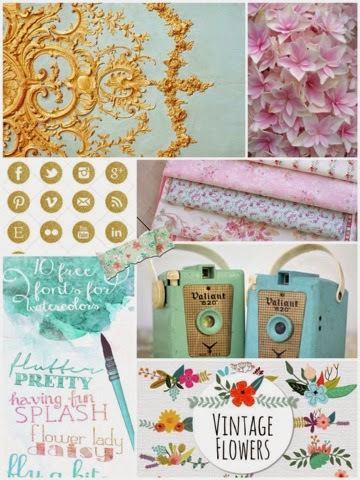 Thought I'd hop over to pinterest to put together a little mood board of colours and ideas I love. I just love pastels, always have. My fav colour being mint green. I adore gold too as I'm a bit of a magpie! Love vintage cameras and can't get enough of gorgeous blooms in delicate pinks, and pretty chintz. Oh how fab is pinterest? Great for daily inspiration and putting together pretty mood boards. Right what project is next... Need to get pinteresting!